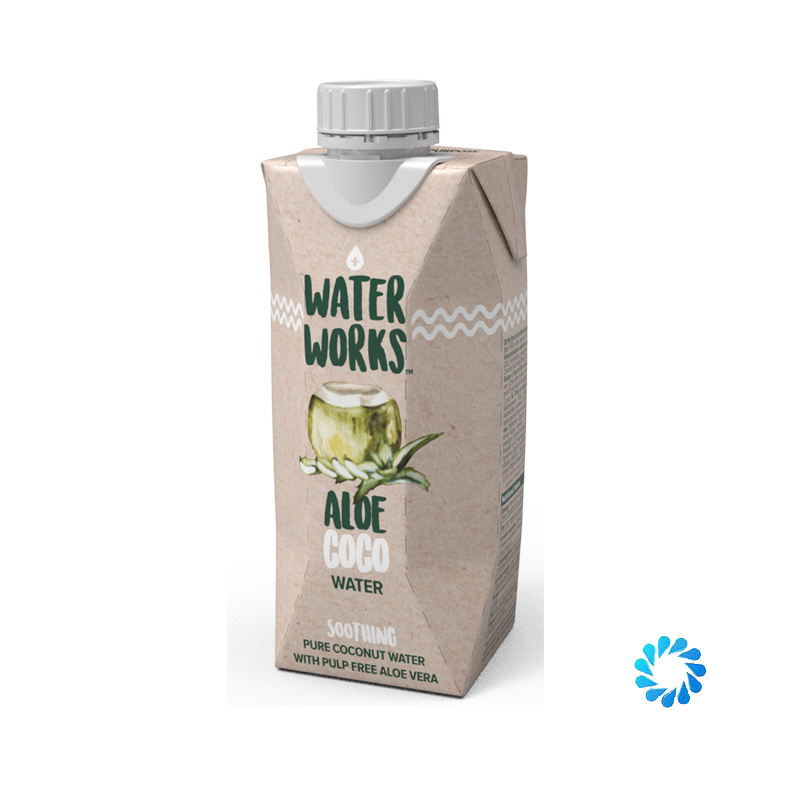 Water Works Aloe Coco combines the hydrating benefits of coconut water and the soothing effects of aloe vera, delivered to your home or office directly from the Aqua Amore London warehouse. Aloe vera is a popular medicinal ingredient that has been used for centuries. It contains healthful plant compounds and is naturally soothing for your digestion. Water Works is an exciting new better-for-you brand that prides itself on crafting healthier, functional beverages, with your ultimate hydration in mind. Coconut water (50%), Water, Aloe Vera (20%), Natural flavouring, Fruit extract, Vitamin-C.